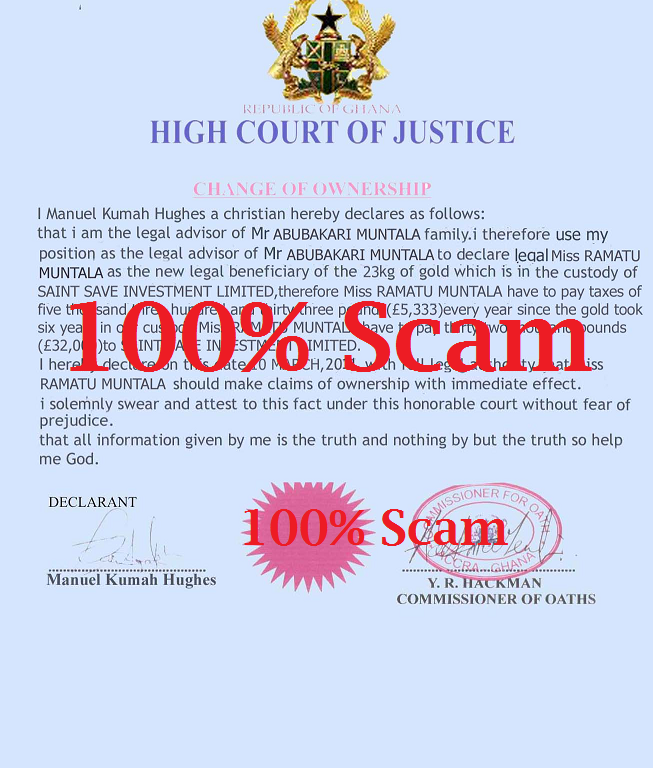 Ghana Dating Scam: Ghana Gold and Dating Scam .. (pictures used from Lana Brooke !) 100% SCAM / FAKE / BETRUG! ***** This is just ONE of DAILY 5 - 7 Support Request Mails to Ghana-Net !!! HI THERE For the last 4 months I have been in touch daily via SKYPE with a lady in Ghana (RAMATU MUNTALA) and during that time she told me that her late farther left her some gold which is in storage. just to make sure things are all ok before I go ahead with it within the next week ! I must say that we get on very well and may also get married in the near future but before I pay to get the gold shipped out to me here in the UK I would ask you people to check it out for me ,to be on the safe side !! The name of the company storing the gold are BABCOCK STANDARD SECURITY GUARANTY LTD company email info-bssgl@yahoo.com and there representative handling things and whom I am in touch with is USMAN ALHASSAN DIRECTOR OF FOREIGN OPERATIONS mobile no 40760485 ,personal e mail chicosluv@yahoo.co.uk.And as you can see I have attached copies of documents sent to me regarding it and a copy of RAMATU'S passport which as expired ,not that it bothers me ! I have also donated £10 (15$) to your charity in my appreciation of your work in checking this out for me . www.ghanapoliceservice.getafricaonline.com- After filing a scam report to the headquarters of Ghana Police without response. The Ghana Crime fighters website above apprehended a fraudster who stole worth of money from my Bank Account. BRAVO- GHANA POLICE! This website also is a fraud!
" GetAfricaOnline.com " is a initiative of Google. Many scammers do use this service now to publish scam websites (they are SUB-domains to " GetAfricaOnline.com ". Scam Like; "judicialservice.Africaonline.com....." ! Google has now DISABLED this fake website! 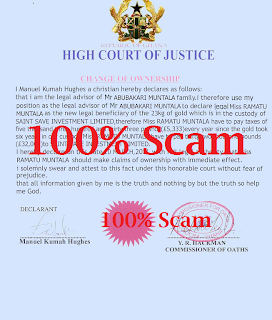 www.ghanapoliceservice.getafricaonline.com ... is a 100% SCAM/FAKE website! Unfortunately and "Funny" - this website WAS hosted Free of Charge with Google Ghana!!! After a complaint from us.. the website has being taken DOWN! Regarding Ghana Police Service... well they try their "best" POSSIBLE ..! but haw ai faind tha nambar of police from Ghana Cape Coast ? ?